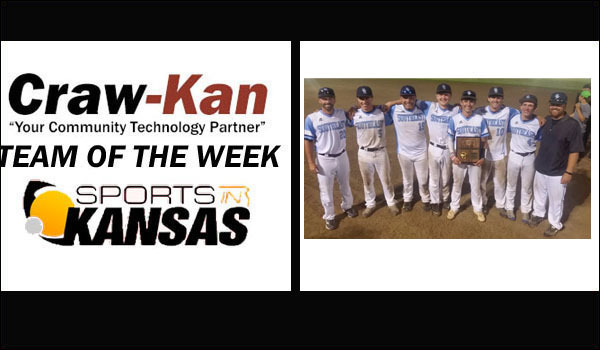 The Craw-Kan “Your Community Technology Partner” Team of the Week from the Southeast Kansas area is the Southeast-Cherokee Lancers Baseball Team, led by head coach David Dainty. The Lancers punched their ticket to their first ever state baseball tournament by winning the 3A regional championship last week over Humboldt in the 3A Erie Regional site. Southeast beat the Cubs 10-9 in a extra inning game (9 innings) that also saw a weather delay. Seven different SE players had RBI in the contest including Jake Burns and Hunter Jameson, who each had three, then Cole Burdette, Colton Trejo, Brett Malle, Tanner Craddock, and Dylan Wilson all had one a piece. C.J. Peacock was the winning pitcher coming in relief for Burdette, who was the starter for Southeast in the regional title game. Southeast-Cherokee (13-8) will be back in action on Thursday at 1:15 pm in Manhattan at KSU’s Tointon Family Stadium for a first round state game against Mission Valley (19-2). SE is the sixth seed while MV is the three seed. With a win it would put the Lancers in the semifinal game playing the winner of #7 TMP or #2 Marion on Friday at 11:00 a.m. The championship game is also on Friday and slated for 5:45 pm. Click here for bracket.